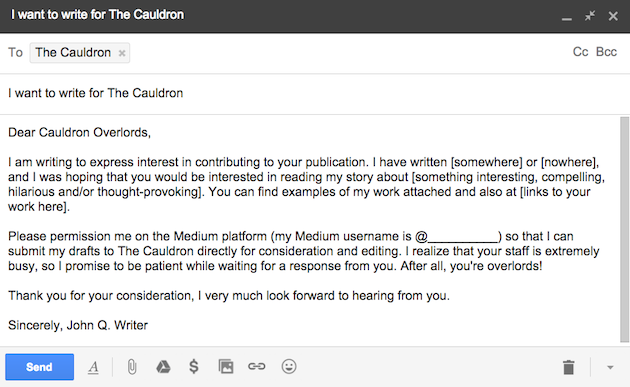 How to write for The Cauldron on Sports Illustrated: A guide to ensure that your work is seen by our editors. In light of the overwhelming response to The Cauldron, here is a guide to ensure that your work is seen by our editors. 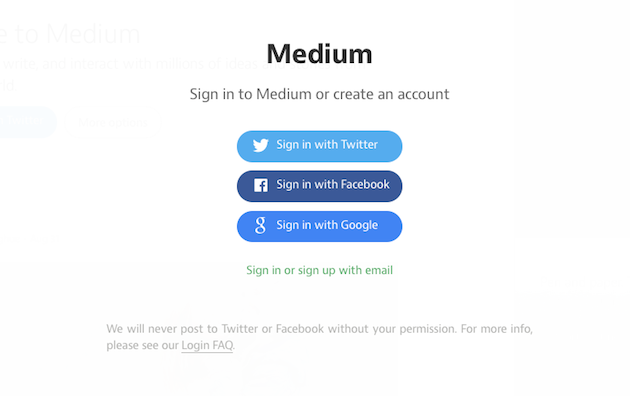 Step Three: After you have been conditionally added, you will receive a notification by email, and you may then begin drafting your stories on the Medium platform under your own username. Step Four: Draft your story! Yes, the writing experience at Medium is as good or better than advertised. Once you use the platform, you will not want to write anywhere else. (Don’t worry about formatting or adding images, we will handle all of that.) Upon completion of your draft, you will be able to submit your pieces directly to The Cauldron for consideration. Step Five: You are (almost) now a writer! Sit back, relax and enjoy the fame and fortune surely (not) headed your way. If your work meets our standards, you will be published! If not, we will work with you to improve your submission, or, in the alternative, encourage you to try again in the future. 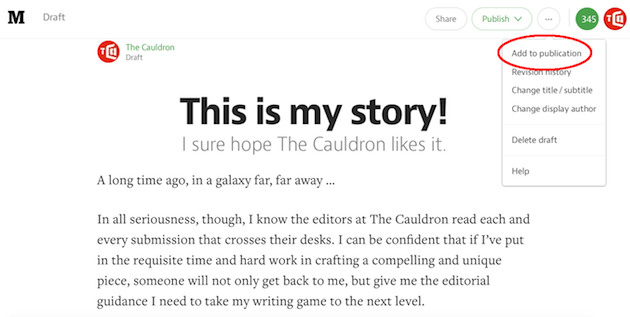 The Cauldron is committed to developing writing talent, and we can’t wait to read your stories.